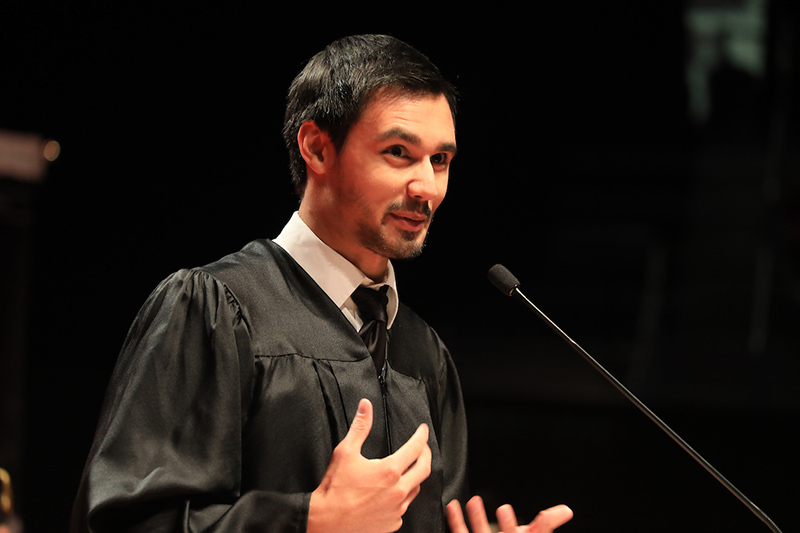 The Division of Student Success invites graduates to audition to become the student speaker at the Commencement Ceremony; March 6 - 7. Are you graduating in May? If so, the Division of Student Success invites you to audition to become the student speaker at the May Commencement Ceremony! The speaker must be comfortable speaking in front of a large audience. The speaker must be eligible for May 2019 graduation with minimum cumulative GPA of 2.75. The speaker must have completed their last 60 credit hours of enrollment at UNO. Candidates for Bachelor's, Master's, and Doctoral degrees are encouraged to audition. At the workshop, you'll learn everything you need to know about being the Commencement student speaker. An email to sign up for one of the two workshops will be sent to graduating students that have submitted their Degree Application prior to the first workshop. Please be sure to submit your Degree Application through MavLINK.